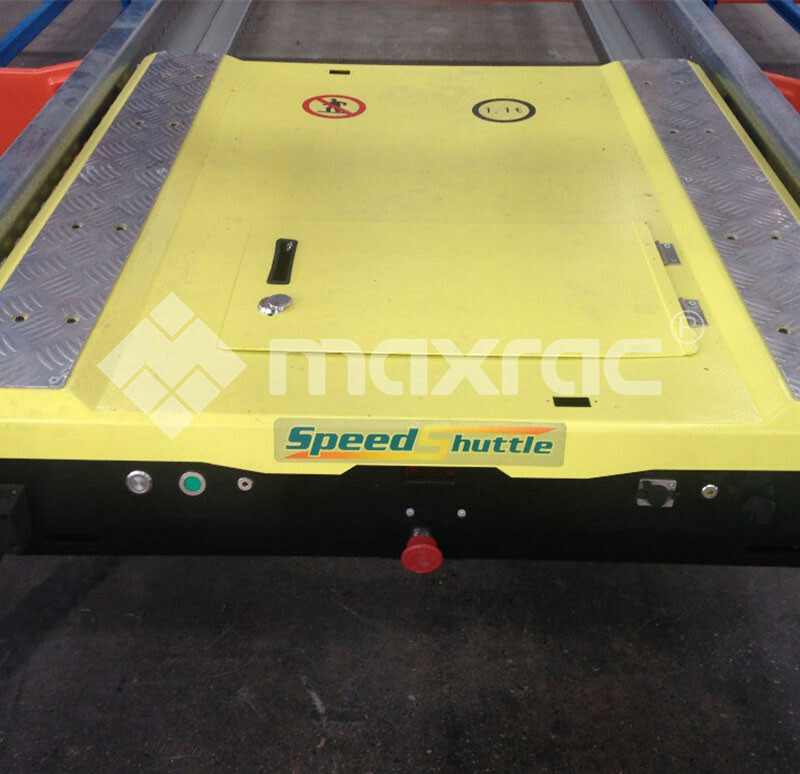 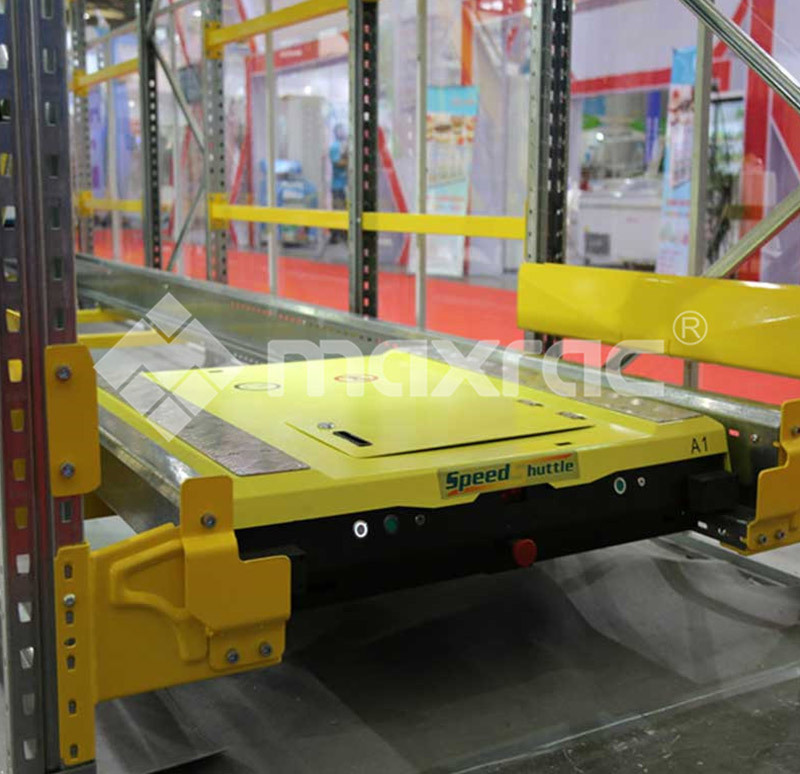 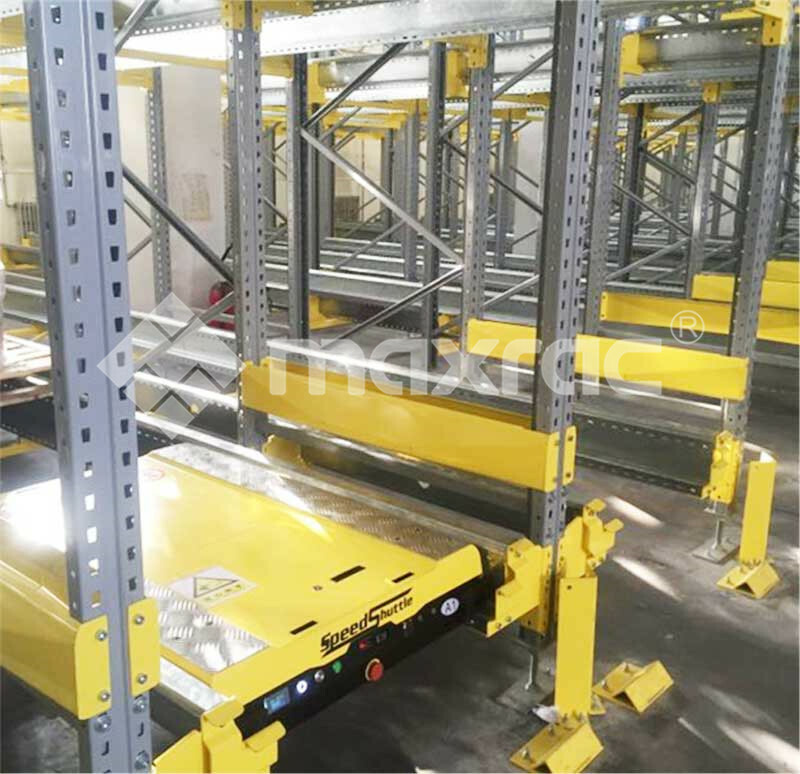 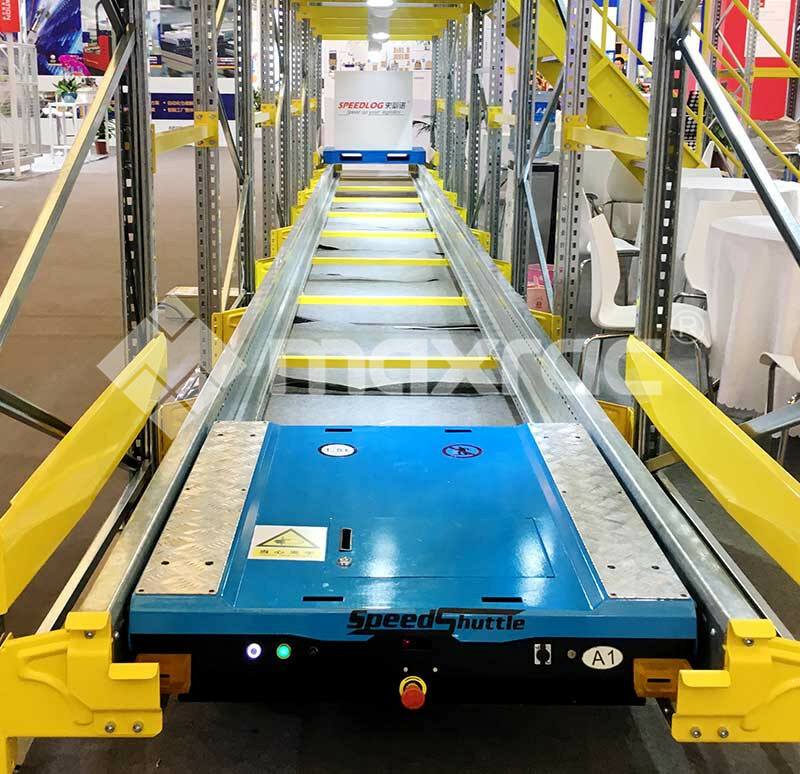 Radio shuttle is a semi-automated high-density storage system, which uses an automatic device to move in the channel back and forth for transportation, forklift pick up at the end. 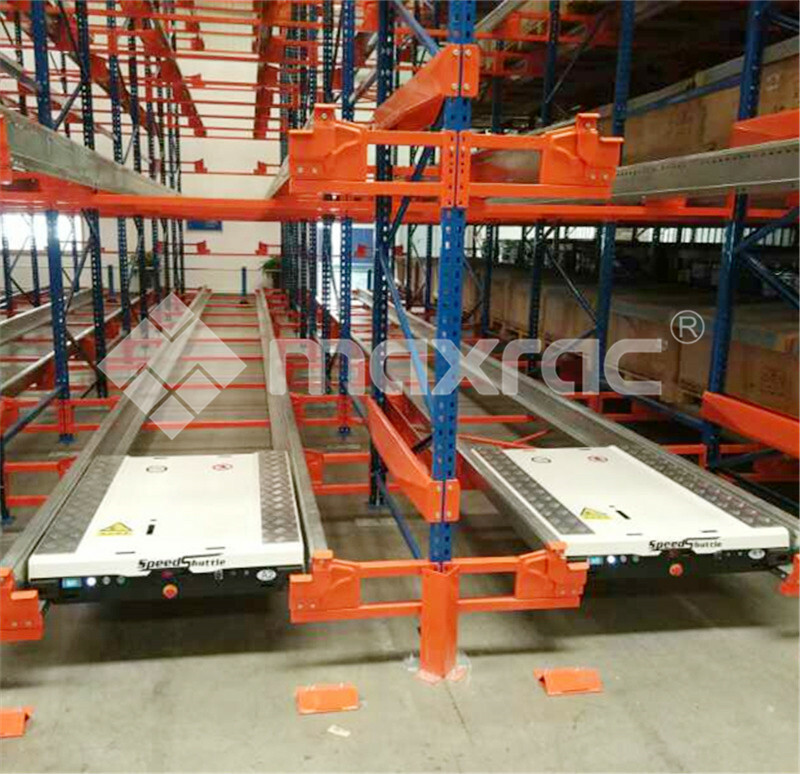 It’s a perfect option for drive in racking system using in cold storage, food and beverage industry and other low level of SKU. 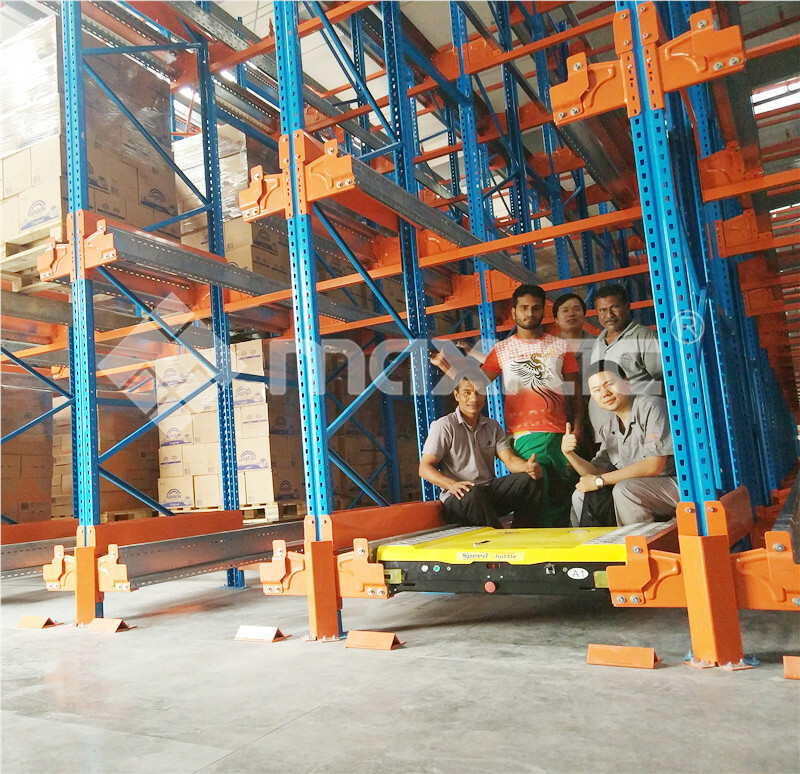 It could helps you to create maximum use of the storage and simplifies loading and unloading of goods. 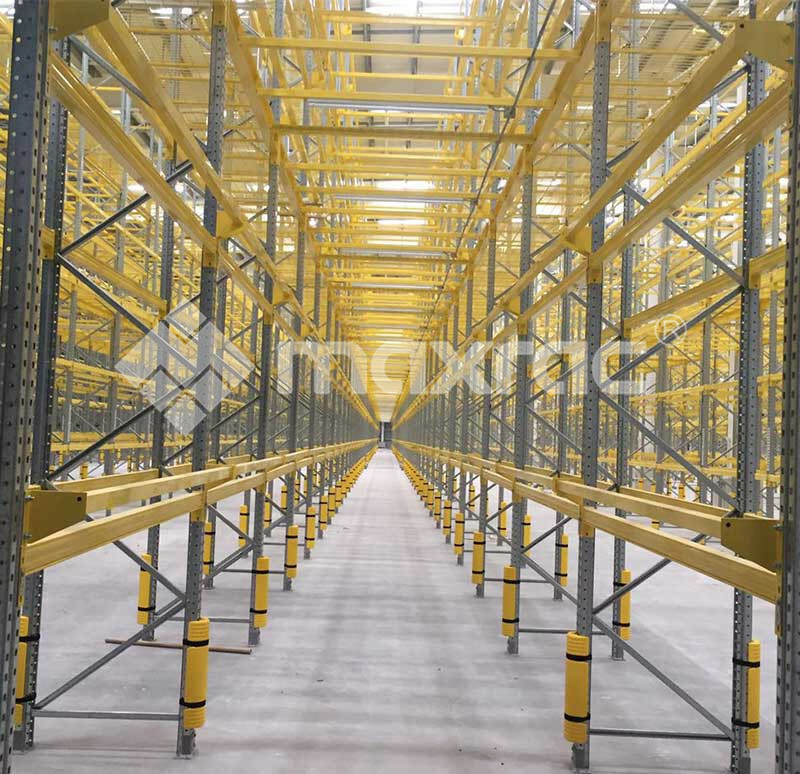 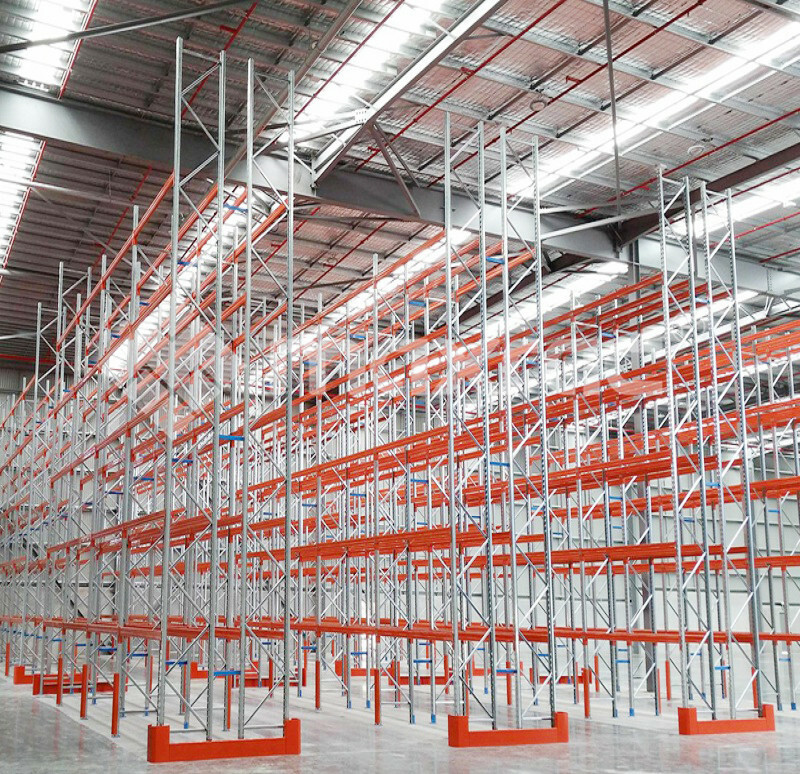 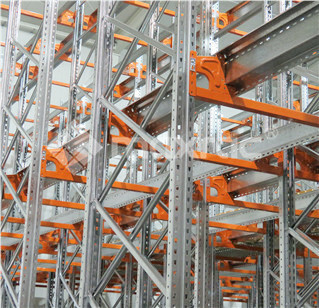 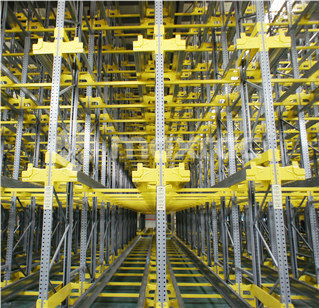 Shuttle carts racking solution that adapts to any warehouse — no matter the size of existing space, allowing maximum optimization of the storage volume and reducing the working times.The space utilization of warehouse from 40% up to 80% and automatic order picking efficiency doubled or tripled compared to drive in system. 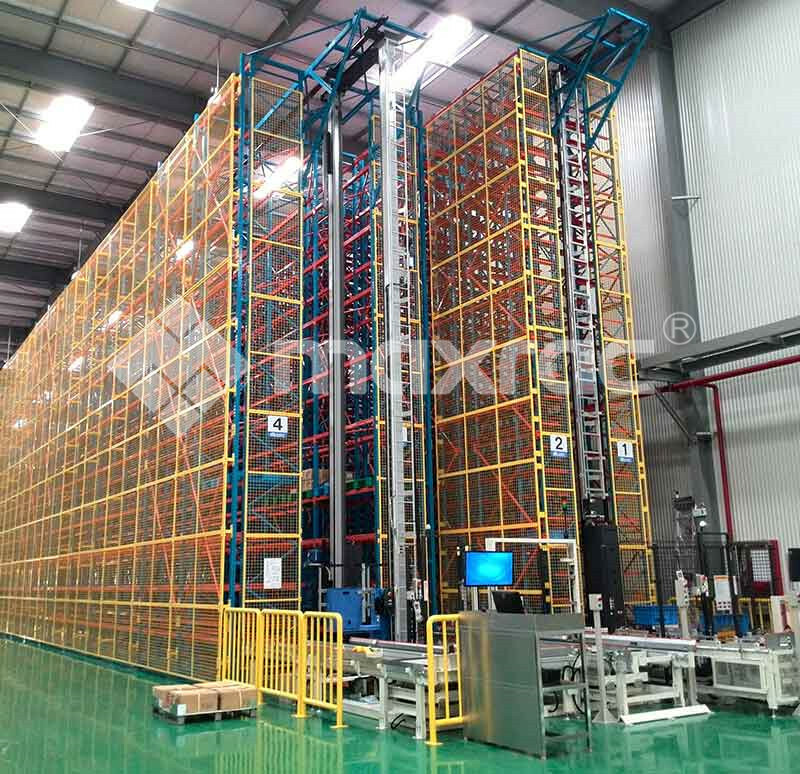 It has supported WCS, WMS software and fulfilled in line with the new generation of Internet of things（IoT）plus era and realized the long-distance monitor and control (no limit of flow).By using the network solve your problem more efficiently and greatly reduce the labor cost. 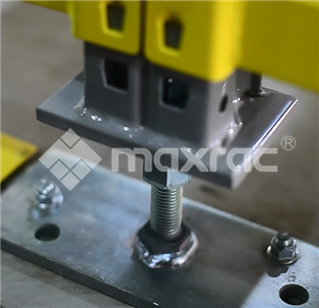 • Efficient load and unload system, which ensures high accuracy. 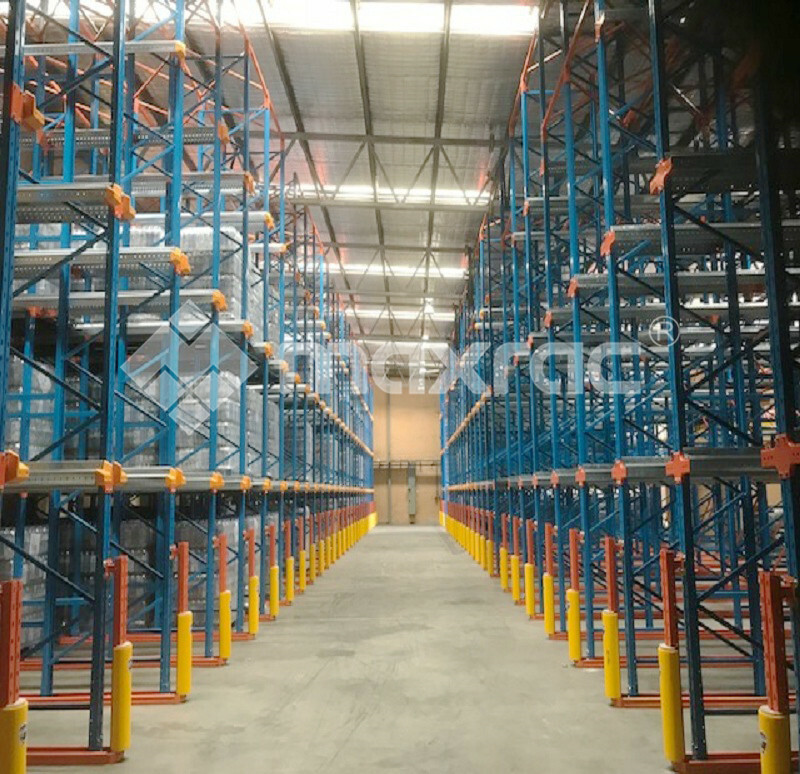 • Less damage to the racking units as the forklift does not enter the racking unit. 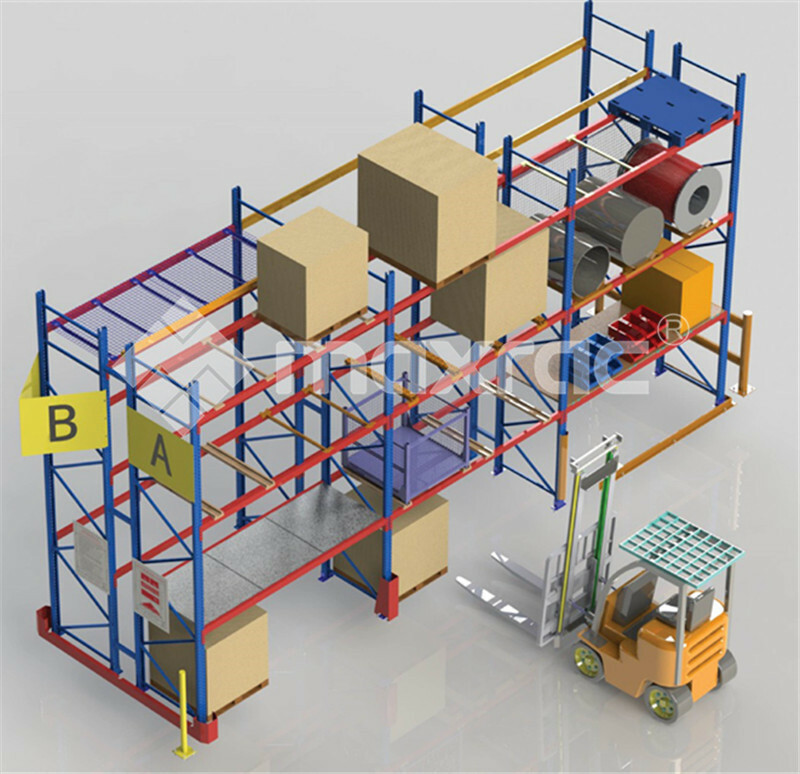 • Compatible with different pallet sizes.